Being a student is no easy task, so when a student devotes time and effort toward helping others in the community, we take notice—and we want to help. That's why Scribendi offers a $1,000 scholarship to students who are actively making a difference in their local communities. If you're a student who loves to volunteer, apply now for the Scribendi scholarship by submitting your full contact details and a 150-word essay telling us all about your community involvement. If it's inspiration you're looking for, read all about our past winners below, and find out more about the great things these student leaders are doing for their communities. Barbara Lehtiniemi is pursuing a Bachelor of General Studies at Athabasca University. Beyond her educational pursuits, Barbara, along with a group of volunteers, runs a community-funded library that she founded in her hometown. Since its inception in 2016, the shelves of this library have been stocked with over 6,000 donated books. In addition to offering free access to a wide variety of books, the library offers free access to art and music workshops, children's activities, author visits, community events, and public computers with internet and printer connections. 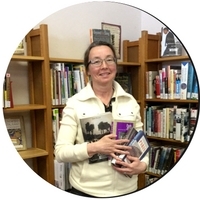 Barbara knows that a public library is more than just a place to read; it can remove barriers to information access, improve literacy, and provide a safe space in a community for those who need it. 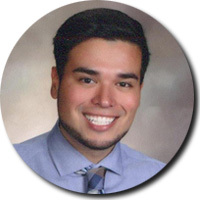 Rafael Vazquez is earning his graduate certificate in institutional research and policy analysis at Arizona State University. He is passionate about supporting teachers of color and helping them to create environments in which people of all backgrounds and talents can flourish. He does so in two main ways: by bringing together teachers of color to volunteer in teaching Phoenix youth who lack access to college education and by supporting teachers of color through a network called WokePhoenix. "When a leader can build learning among all people involved, ownership and trust [are] created," Rafael notes. "This distributed leadership, like harvested seeds, bears fruit in the form of millions of dollars earned in scholarships, hundreds of college acceptances, teachers feeling supported, [and] families advocating for their children." Rafael's passion not only encourages teachers of color but also equips them to become leaders in their own communities. Andrea Yzeiri is a student at the University of Windsor in Ontario, Canada, where she is pursuing an Honors Business Administration degree with a concentration in management science, while also working toward an Honors Political Science degree specializing in law and politics. Despite her rigorous schedule, Andrea continues to be an active member of her community. She is a youth representative on the Board of Directors for the United Way in Windsor and a member of the W.E. $UCCEED: Beyond the Status Quo team, a group of young women who underscore the problems women face when entering the workforce in science, technology, engineering, and mathematics (STEM) fields and apprenticeship programs. According to Andrea, her passion lies in "fighting not only for women's legislative rights but also much-needed social reforms." As a result of this passion, she writes and performs spoken-word poetry and is a presenter at events such as RBC Talks and WEST Inc.'s 2014 International Women's Day Gala. 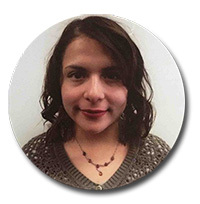 A freshman studying social work at Manhattanville College in Purchase, New York, Deysi Barzallo is an advocate for the Latino community who is passionate about resolving the issues it faces. "A community leader brings together a support system and creates a cohort of different backgrounds," she says. Through her volunteer efforts, Deysi seeks to embody this vision. Deysi also works with teenagers and with women who have experienced abuse, noting that "there needs to be a foundation of trust among the people you work with." Even when mistakes are made, true community leaders work with one another to overcome obstacles and continue to make a difference in the lives of people who need it. 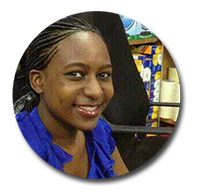 Catherine Nabukalu is a student at the University of Pennsylvania whose passion lies in environmental preservation. She dreams of "making the world habitable for generations" and has been involved in a number of initiatives to help make this dream a reality. One such initiative involved the purchase and donation of 250,000 trees to 10,000 schools in an effort to amend some of the damage caused by widespread deforestation and to provide much-needed shade to students. To ensure the project's continued success, Catherine planted a model forest and mobilized others in the community to support and uphold the cause. Her work also raised environmental awareness and inspired involvement among children in the community, instilling a passion for the environment into younger generations. 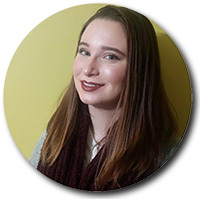 Catherine says receiving Scribendi's Community Leadership Scholarship has inspired her "to continue working for success in [her] personal life, to lead teams, and to work towards community development today and in the future." Think you could be our next winner? Whether you're a softball coach or a tutor, a dog walker at the animal shelter or a volunteer at the hospital, we want to know what you're doing to help your community. By telling us in a 150-word essay, you'll get a chance to win our $1,000 scholarship. Apply today!